Her Serene Highness Princess Grace of Monaco, formerly known as Grace Kelly, is still an icon long after her tragic death. Grace of Monaco, the film based on her life, was such a notorious failure critically and commercially outside the U.S. that not even Harvey Weinstein, uber-producer extrarodinare, could get a theatrical release for it. Instead, the film which was once touted as a potential Oscar-winner was forced to debut on the Lifetime Network. The weepy channel seems to be a perfect fit for a story about a beautiful, glamorous woman facing adversity. Grace of Monaco, however, does not give us any insight into HSH or the agony of being a bird in a gilded cage, just a lot of pretty costumes paraded before us and some sometimes laughable performances and situations that might inspire more pity than reverence. Two plotlines thread through Grace of Monaco. 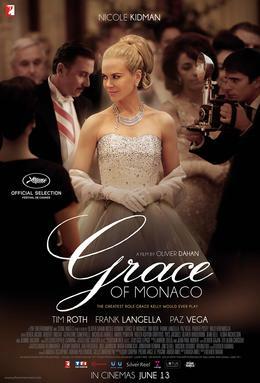 The first involves HSH Princess Grace (Nicole Kidman), finding life as the Princess Consort of the tiny principality of Monaco, rather stifling. She is tempted to return to film when her old friend/mentor Alfred Hitchcock (Roger Ashton Griffiths) pays a call to the Principality. He would like her to play the lead in Marnie, and Grace, itching to return to her old career in Hollywood now that her fairy-tale world is anything but, cautiously accepts. This does not sit well with her husband, Prince Rainier III (Tim Roth), who is shocked that his former actress wife would want to return to the screen. However, he eventually and reluctantly agrees, so long as the Palace gets to make the announcement. In an attempt to ease people into the idea of the former Grace Kelly making a comeback, this agreement is made between the studio and the Palace, with her longtime agent Rupert Allan (Milo Ventimiglia) handling things. However, it seems the Monegasque were not particularly keen on the idea of their Princess playing a frigid kleptomaniac either once news leaked out in a confused press release. The studio and Allan insist they never made the announcement, so the source may have come from the Palace itself. Is there intrigue behind the Monegasque Throne? Well, Rainer has greater problems to contend with than his slightly bored wife itching to say, "I'm ready for my close-up, Mr. Hitchcock". The evil French President Charles De Gaulle (Andre Penvern) is planning to invade the principality over French citizens fleeing to Monaco to avoid taxes. De Gaulle wants that money and is willing to send tanks into Monte Carlo right up to Reiner's palace doorway. He's doing his best to stop the invasion without giving in to De Gaulle's demands to surrender Monegasque sovereignty. It is now where Grace's tact and wiliness come into play: using the charm offensive she gets the foreign press on Monaco's side, culminating at the annual Red Cross Ball; this highlight of the Monegasque social season is attended by De Gaulle himself, convinced that he should not be afraid of 'some actress' and mocking the lack of a standing army in Monaco. 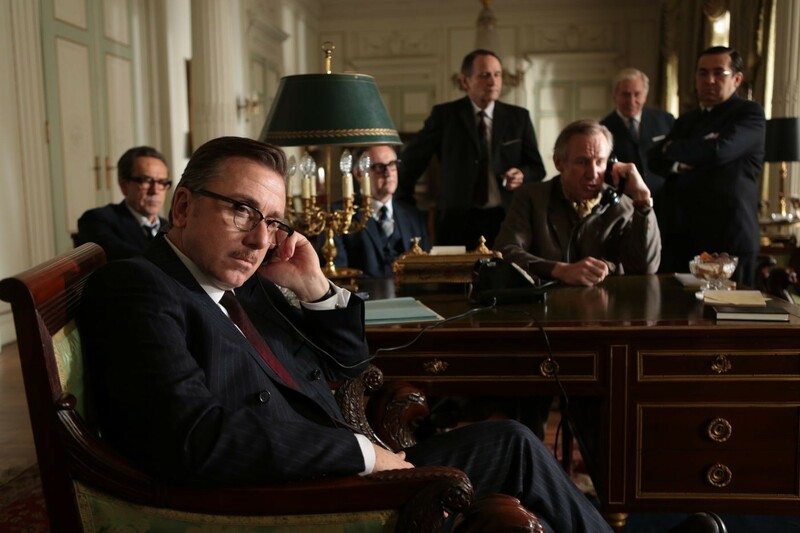 However, when "Canadian" Robert McNamara (Philip Delancy) pointedly asks President De Gaulle if he's really going to drop bombs on Princess Grace, the French President knows he's beaten. Finally, the plot to dethrone Rainier is unmasked and the conspirators exiled. Grace Kelly never returned to the screen. I think one of Grace of Monaco's greatest flaws is that either story, by itself, would have been interesting, but together prove shockingly dull. The two stories just floated by each other, and when you start getting into one, the other one shows up. We START with the Hitchcock story, and then that shifts to the longer "Monaco in Danger" story, and then get some "coup d'état" ideas, go back to Hitchcock, then end with the "Monaco in Danger" story again. I don't know where exactly Grace of Monaco lost focus, but the whole affair plays out in a very disorganized fashion that doesn't so much leave the viewer puzzled as it does uninterested. The decision to direct the actors to look bored or disengaged adds to Grace of Monaco's woes. Tim Roth and Nicole Kidman are both extremely good actors, so it takes a particularly inept director to make them look dull and on autopilot. Unfortunately, Olivier Dahan is there to make Their Serene Highnesses look and behave like walking dead (minus the brain-eating). Kidman makes Princess Grace look blank throughout the film save for her final speech. When talking to her Father Confessor, Francis Tucker or as I called him, Friar Tuck (Frank Langella) or with Rainier or with Hitchcock, Kidman's Grace shows no signs of humanity. She sometimes doesn't seem to even recognize people, and Dahan's bizarre decision to on more than one occasion focus on Kidman's eyes (and worse, move the camera around while having a close-up on said eyes) lends the film a higher level of flat-out loony-ness. I counted at least three times when Dahan not only had Kidman's eyes on close-up, but began moving the picture at the same time. Why focus on someone's eyes when you aren't going to keep focus yourself? Sometimes certain scenes and situations come across as downright hilarious. When Grace realizes who has been colluding with the French to take Rainer's throne her slow-motion race is already a bit off, but when the conspirator begins screeching about how she won't be removed from the Palace it was laughable. Roth had very little to do but smoke his way through the production, but in his defense Arash Amel's script gave no one anything to work with. Some scenes with them (like a family poolside picnic) sometimes slipped into histrionics on both sides, making it almost painful to see good actors doing bad acting. The two 'crises' Princess Grace faced were rather uninteresting because the film (thanks again to Dahan) didn't give us any sense of danger or disillusionment on the part of Her Serene Highness. I think a lot of it had to do with the sheer lack of focus, and of the film's apparent belief that we already knew who was whom and what was what. There is this very sour-looking woman trailing Her Serene Highness for long periods of time, like the Monegasque Mrs. Danvers. She seems to have a total loathing for Princess Grace, but it isn't until late in the film that we even figure she has a name and is actually an ally. This might have been revealed earlier, but I might have been nodding off when this was done. There were also story threads that seemed to slip away. There's Grace's friendship with Maria Callas (Paz Vega, about the only good performance in Grace of Monaco), and Grace's relationship with press agent Rupert Allan. I thought Ventimiglia very good, but wondered why he was there to being with. I will say in Grace of Monaco's defense...that the costumes were pretty. The people pretty too, and really nice scenery. However, when the film refers to Defense Secretary Robert McNamara as "Canadian" (and I actually rewound the film to make sure I heard that right), I cannot explain how they could suggest such a thing. I'm sure Robert McNamara was American. Grace of Monaco never makes the case that either the potential French invasion or the return to the screen were real issues or crises for Her Serene Highness. It's not a biography of Princess Grace. It's not an interesting story (which is a shame since it COULD have been). It has some really bad performances...but the clothes were pretty, and that should count for something. 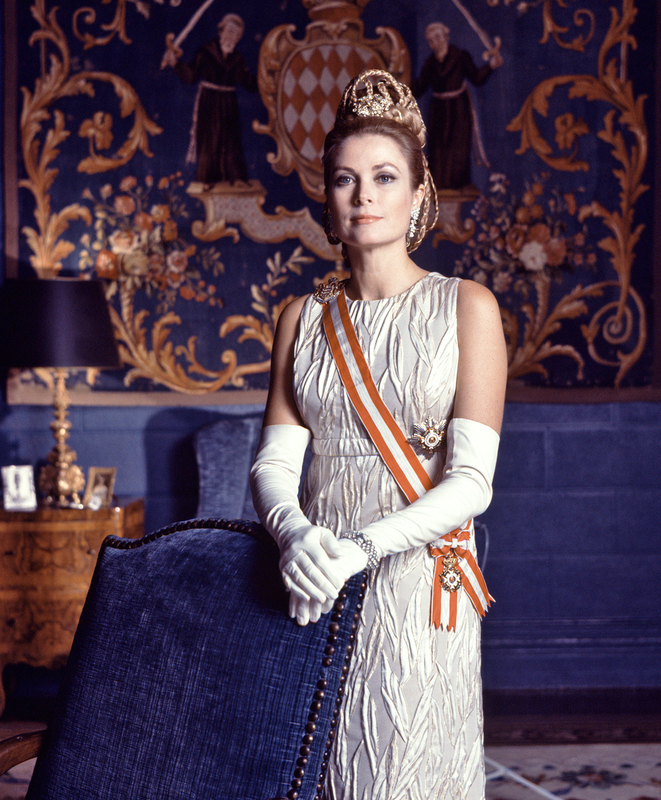 Her Serene Highness Princess Grace was not vapid. Grace of Monaco is.